At our first meeting, the client was interested in replacing the tie wall which was rotten and in danger of coming down and also a fire pit. 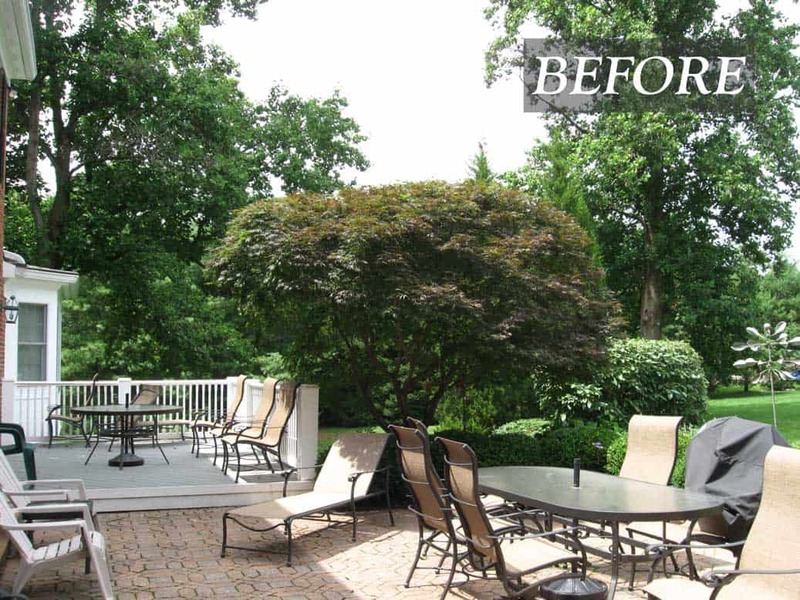 After assessing the site we noticed the deck and upper existing patio would both be affected by the wall replacement. 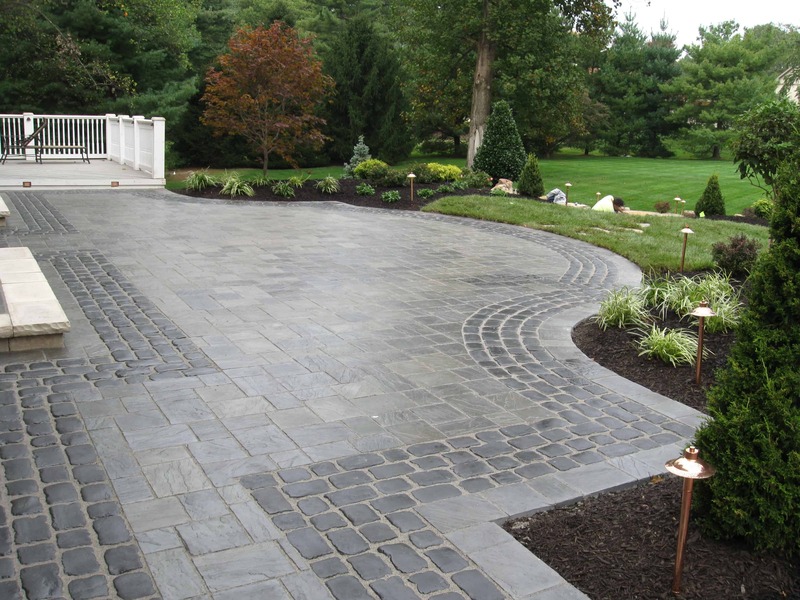 Since a good portion of the existing patio would need to come up to properly enforce the new wall a new design concept was created suggesting the replacement of the existing, dated pavers with new slate stone look slab pavers. For both conversational space interest and to keep smoke away from the main house a natural stone fire pit patio was designed further away from the main patio but still close enough to be convenient. The fire pit patio design works with the grade of the land creating a beautiful and natural look. 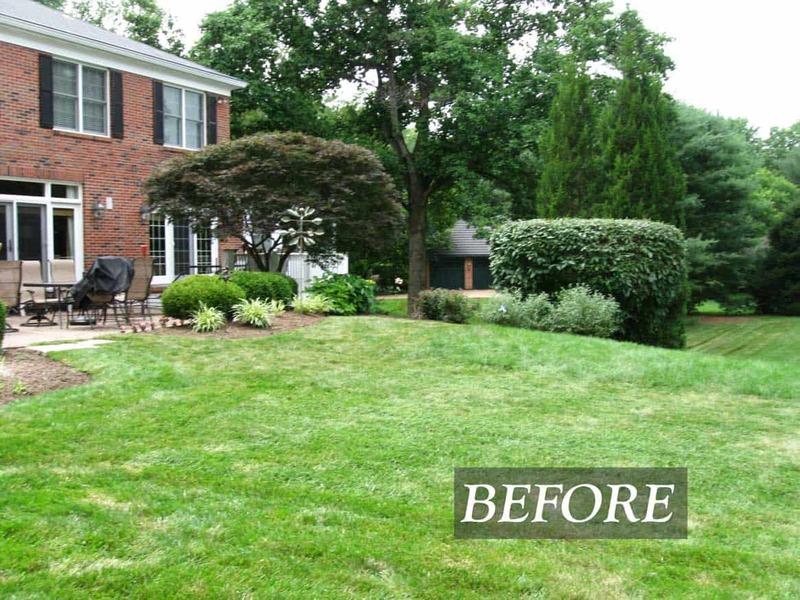 Evergreen trees were strategically placed for privacy from both patio spaces. Colorful, seasonal plantings frame the edges of the patios gracefully. Landscape lighting was added to up light key plantings and light the path areas and deck. The landscape lights extend the visual interest of the garden through the evening hours. The front of the house was added in a second phase. 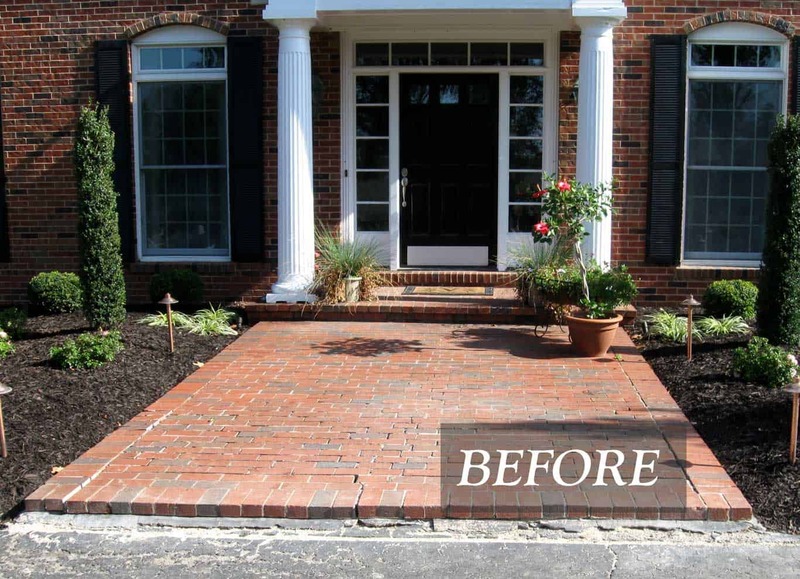 The clients wished to do something with their crumbling clay brick walk and porch and update their overgrown landscape. Birch trees had been planted next to the house and needed to be removed because of their strong, vigorous root structure. 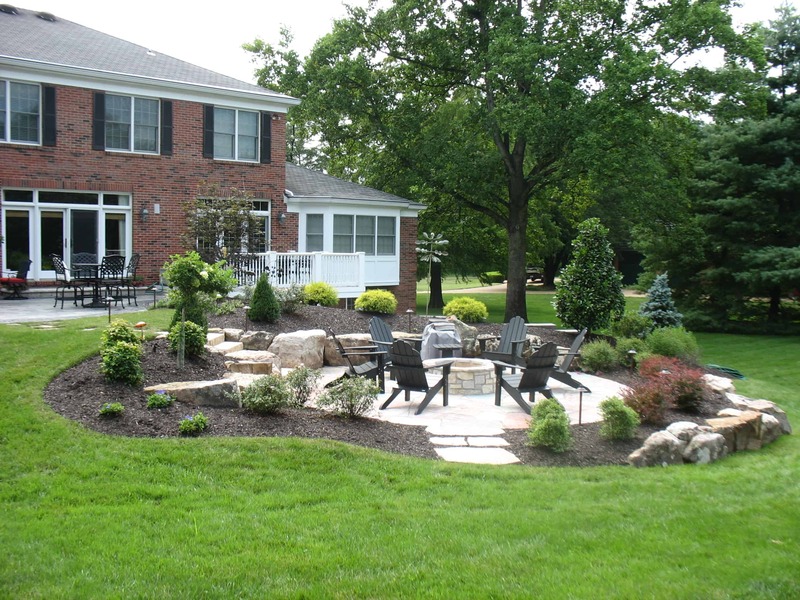 It was important to the client to have large new trees installed to take their place. We found mature Redbud trees to frame the front of the house. 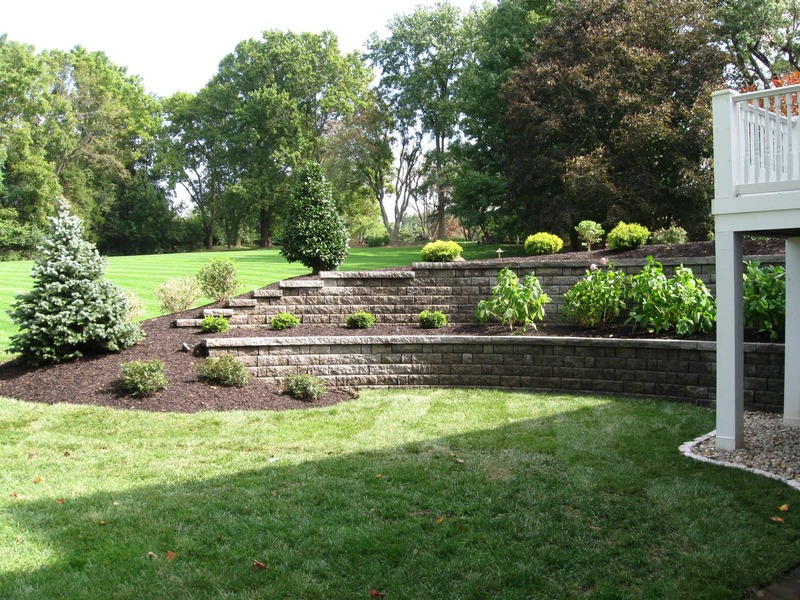 A variety of new plantings with both evergreen and seasonal interest were planted in a style to match the home yet maintain a modern flair. 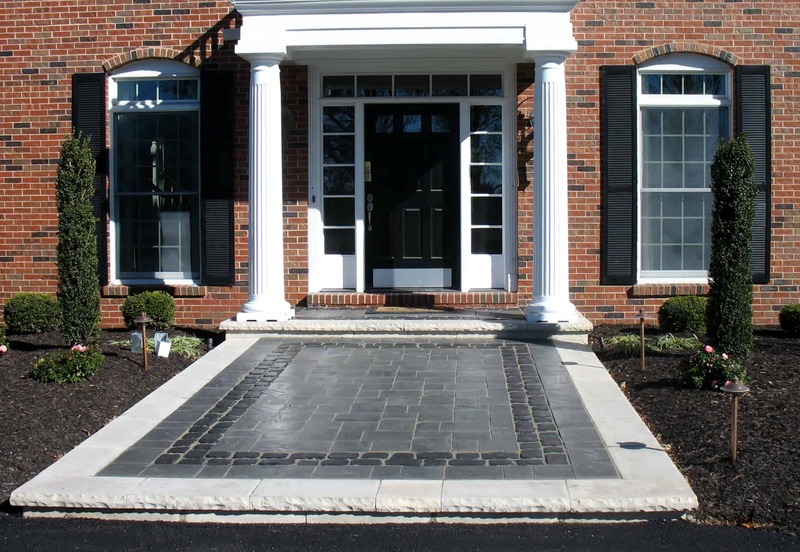 The front walkway was removed and replaced with beautiful slab pavers to match the back patio and give a cohesive feel to their home. Finally, landscape lighting was installed to up light the front of the home and highlight the accent plants.